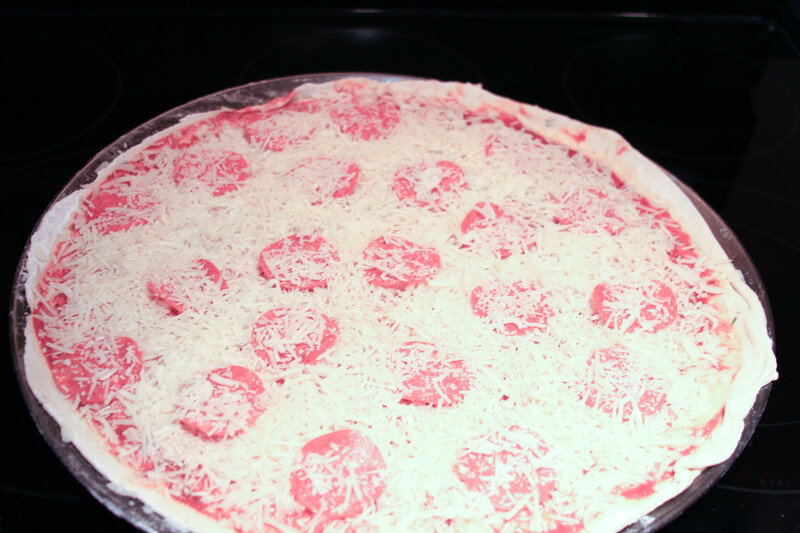 If there is one thing that makes my mouth water, it’s homemade pizza. If there’s one staple in our house when it’s time for Monday night football, it’s pizza. 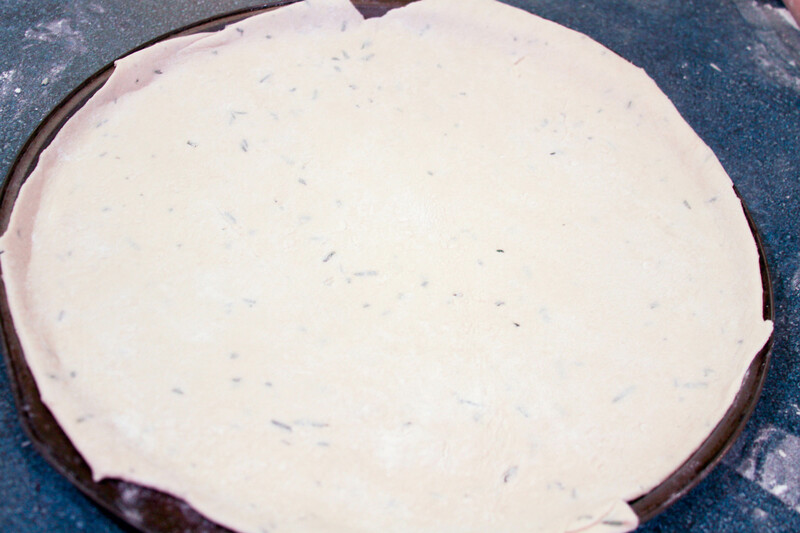 To make a great homemade pizza, you need a great pizza dough recipe for your crust. That’s where I come in. So, because I’m so nice fall is in the air, I thought I would share my recipe with you. First dissolve a packet of yeast in 1c. of warm water. Stir and let sit and set aside. 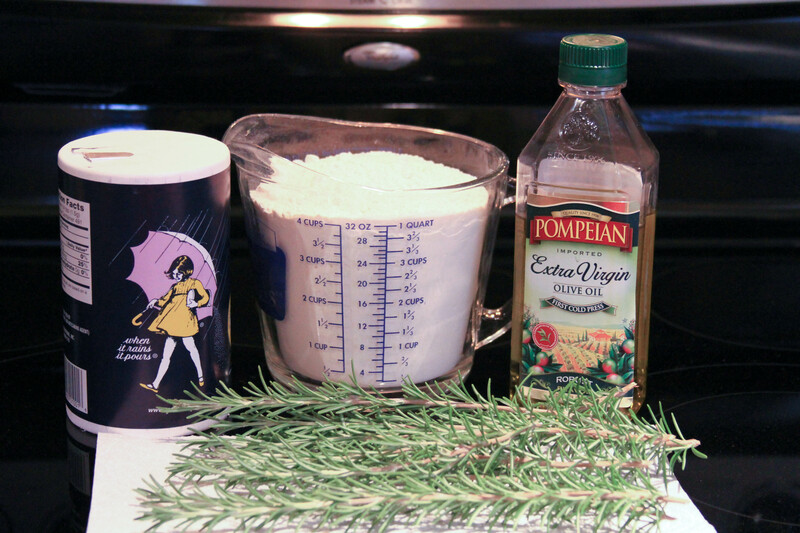 To your mixer, add 2 T olive oil and 1/2 t. salt. 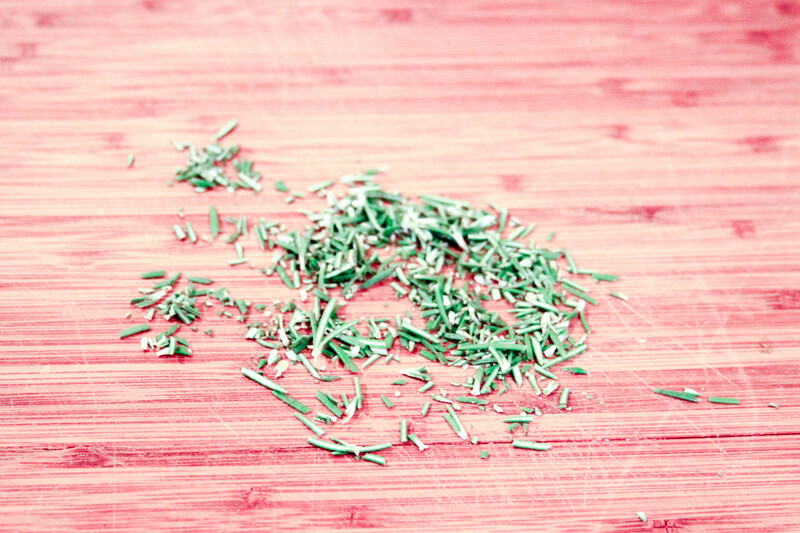 For some extra, wonderful goodness… add 1-2 springs of chopped rosemary. 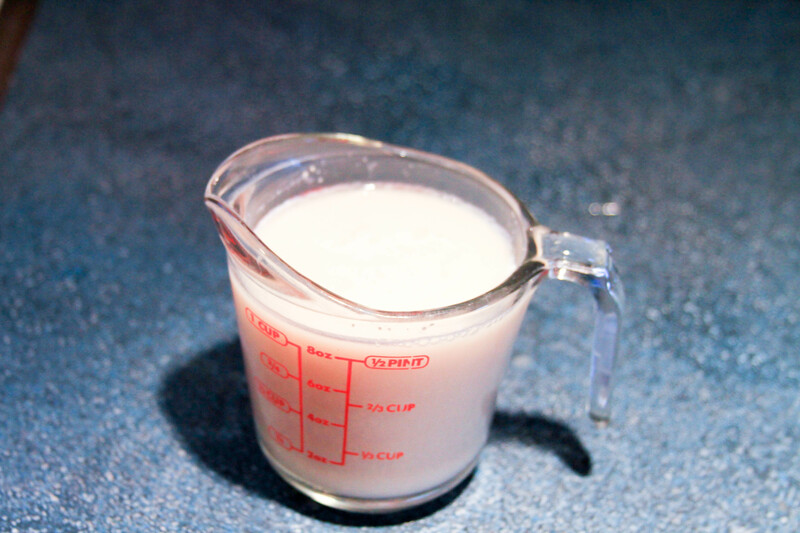 Add yeast mixture to your mixer. 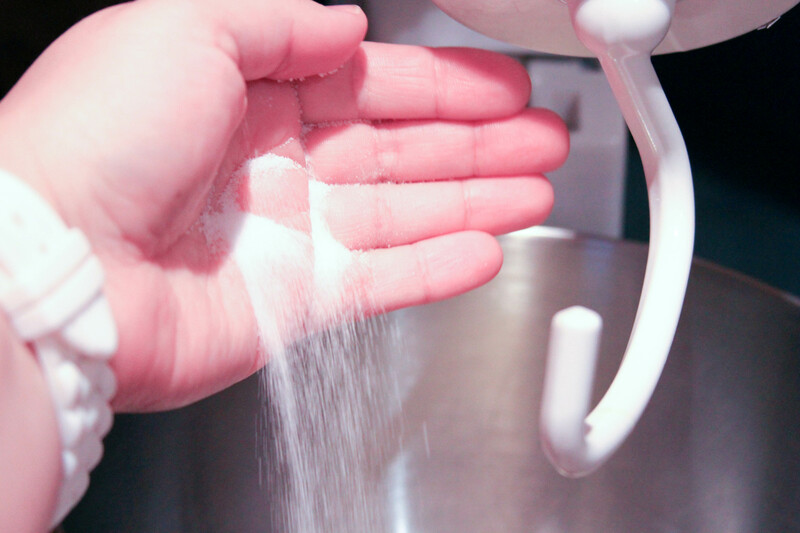 Use your hook attachment and begin to add flour. 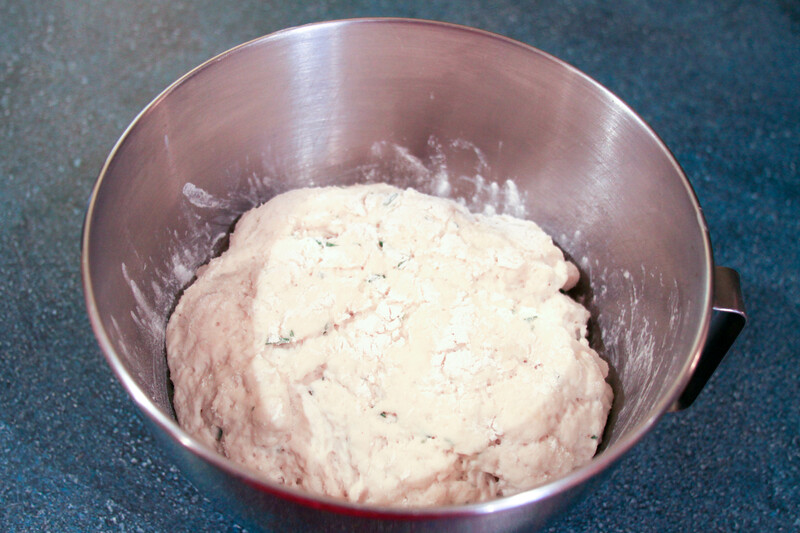 Mix until dough begins to pull away from the sides of the bowl and begins to form a ball. If you’d like a whole wheat crust, use 1 c. whole wheat flour and 1 1/2 c. white flour. Cover and let rise in a warm spot for 1 hour. Inside my microwave is a good spot for me since Ol’ Blue Eyes likes to keep our house frosty. After 1 hour, cut dough in half and roll out on a floured surface. Transfer to pan. 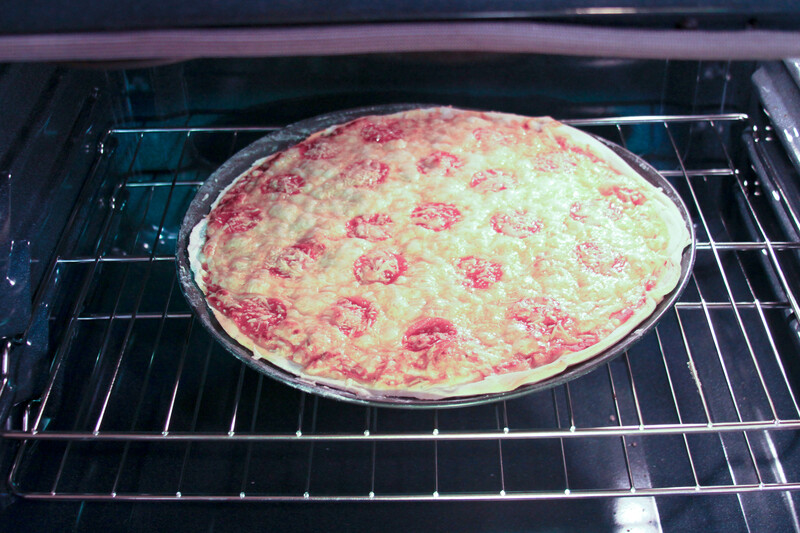 Bake pizza in a 500 degree oven for 15-20 minutes. Is there a better meal for Monday night football? I believe not! Enjoy! Here is a printable of the recipe if you like. This entry was posted in Beef, Breads, Pork. Bookmark the permalink.